For Paul and Debbie it was meant to be the happiest time of their lives. A small village wedding in front of their family and friends, followed by a quiet honeymoon in Devon. Not everyone had been happy to see them together. A woman from their past refused to accept it. Her actions over the previous year had ended in tragedy, and had almost broken the happy couple apart. Now, away from it all in a picturesque log cabin, Paul and Debbie look forward to time spent alone together.... But she has found out where they are, and she will stop at nothing to make sure that the marriage is over...forever. But Huntswood Cove isn't just a beautiful Devonshire fishing town, it has its own secret. Recently, people have begun to disappear, only to turn up dead in suspicious circumstances. The locals begin to question what is going on. Soon everything strange points to the abandoned house in the woods. The house that nobody wants to talk about. To them, it is the place that never existed. This well written tale is narrated by an extremely talented narrator. I was pleasantly surprised by the ending which was nothing like I assumed it would be. I'm positive that you will love this one. 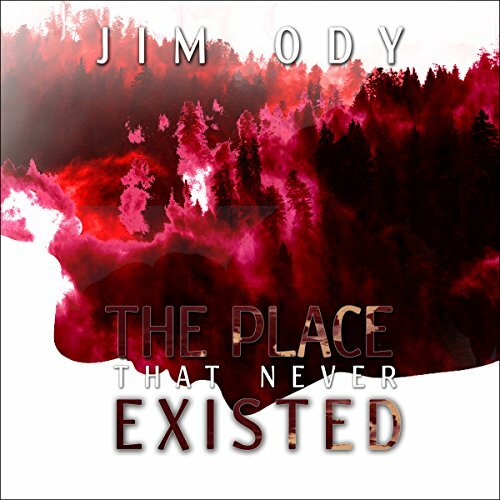 The Place that Never Existed is a mystery novel with an unexpected ending! Following the newlyweds as they embark on their honeymoon we get a glimpse of their lives unfolding throughout the story. Even the most perfect relationship will still feel the influences of past experiences and these two are no exception. Jim Ody did a beautiful job adding realism to his characters. The small details within each held my attention and the dialogue was entertaining, driving the story along. Nigel Peever's narration was brilliant and well done throughout the book. His accents displayed the background of each character and he flowed seamlessly from one to the next. This was an excellent listening experience. Wasn't sure what the story was about, had several possibilities as the story unfolded. Good characters and plot twist ending. Excellent narration from Nigel Peever. This tale starts off nice then spooky then scary then weird then back to scary!! Loved it. Don’t go in, yes go in, don’t! One of those stories. You want to know but you don’t but you’ve got to know. Narrator keeps the creepy factor up high and the whole thing is like a mini play. Music, noises, creaks, voice playing, really good production. Good book!Strange story of ' haunted place'. It has a lot of twists,some I didn't get my head around. Nigel Peever is the perfect narrator,as always.I was given this book by the narrator,author or publisher free for an honest review. This book is a spooky twist and turn story very Reminiscent of the old black and white horror shows they used to have on TV late a night. At every turn I never knew where we were going to go next and keeping up at times was hard but I loved it. The narrator has an amazing voice for narrating scary thrillers as well. We follow the story of newlyweds, Paul and Debbie, spending their honeymoon in a cabin in the the woods - and Paul's ex, who is struggling to move on, so joins their honeymoon uninvited, causing them quite a few problems. The best thing for me about this book was the unique and atmospheric narration, which certainly brought an air of mystery and suspense to the story. What a strange story though... I must be honest, it took a while to get going with it, I wasn't sure what was happening quite a lot of the time and when it ended still felt a little confused. Some of the content seemed superfluous and I had difficulty with time lines. That said it had some interesting characters and the twists managed to just about hold my attention. There is humour at points and some great writing - the ending was rushed though. It's odd... strange... confusing and, perhaps, needs a second reading / listen to. It's had a lot of great reviews so perhaps it's just me that struggled to 'get it' to the same extent.